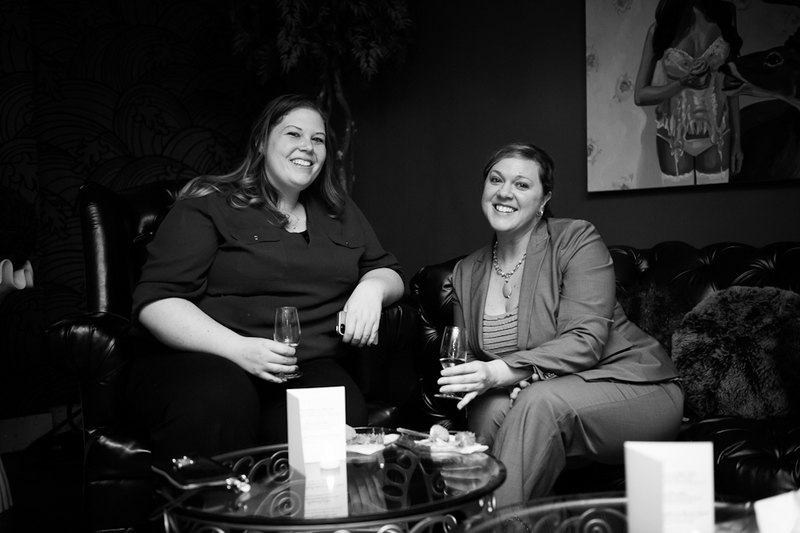 Courtney Brown of Quit Wineing reached out to me and wanted to put together a Champagne event. Having followed her entertaining and informative wine blog for all these years, I jumped at the chance to work with her! Angelica coined the name "Blushing Bubbles" for our event and Courtney decided to showcase grower rosé Champagne from all Vigneronnes (lady winemakers). 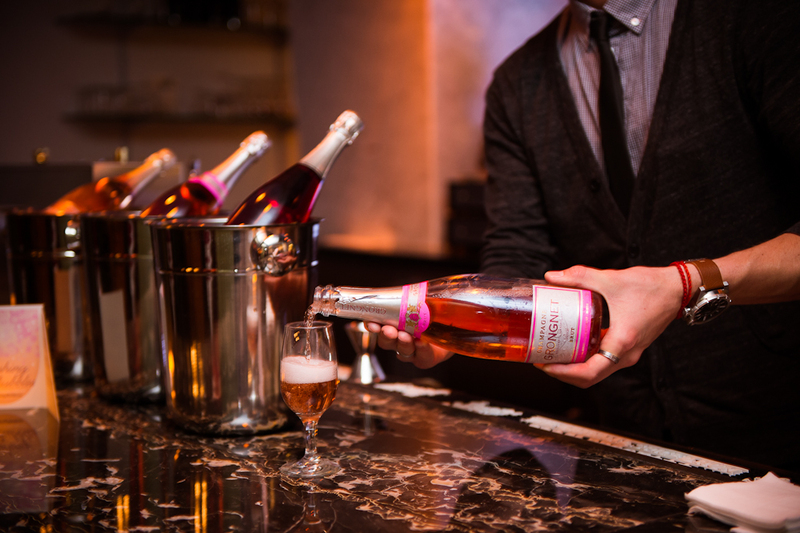 Grower Champagne is produced by the tiny grape growers of the Champagne region in France. The wine is produced on the very estates where the grapes are grown. Additionally, Vigneronnes make up less than 5% of winemakers in Champagne so Courtney and I were very excited for this ladies Champagne event! Thank you so much to Chelsea Nicole for the photos and to Gimme Some Sugar for the most delicious chocolate truffles! Native to Las Vegas, I hold a sommelier certification from the American Court of Masters and a sommelier diploma from the International Sommelier Guild. I write an unconventional, highly entertaining wine blog called “Quit WINEing,” where I pair everything from a break up to French fries with wine. I have been featured in and on the cover of SEVEN Magazine and deemed as the “Wine Muse” for Vegas Rated Magazine. As a freelance sommelier, I provide personalized wine services for stylish wine parties, weddings, restaurants and corporate clients. My main goal is to make wine fun, understandable and enjoyable! When I’m not working I like to take in a flick (with Champagne hidden in my purse to pair with popcorn), watch a live comedy show, host dinner parties in my home, enjoy a cup of joe with my girlfriends, travel and, of course, drink lots and lots of wine! I’m a recent newlywed and madly in love with my husband and 2 doggies! I’m also a serious chocoholic! My wine glass is always half full and if I was to die tomorrow, I’d want my last meal to be Champagne and French fries! !